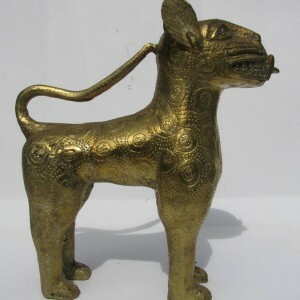 View Cart “Ife Bronze Head” has been added to your cart. 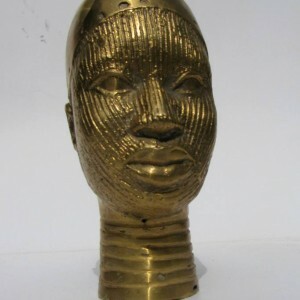 Bronze replica of the Queen Idia Mask. 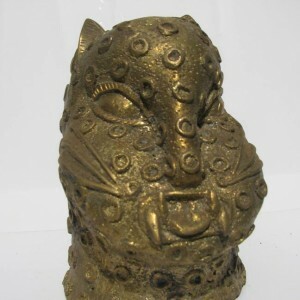 This Mask has strong historical and cultural significance. 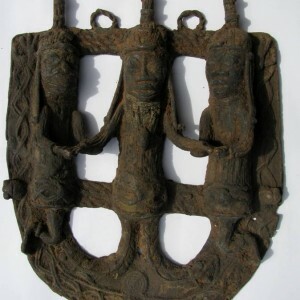 Not only to the people of the Benin Kingdom, but to Africa in general. 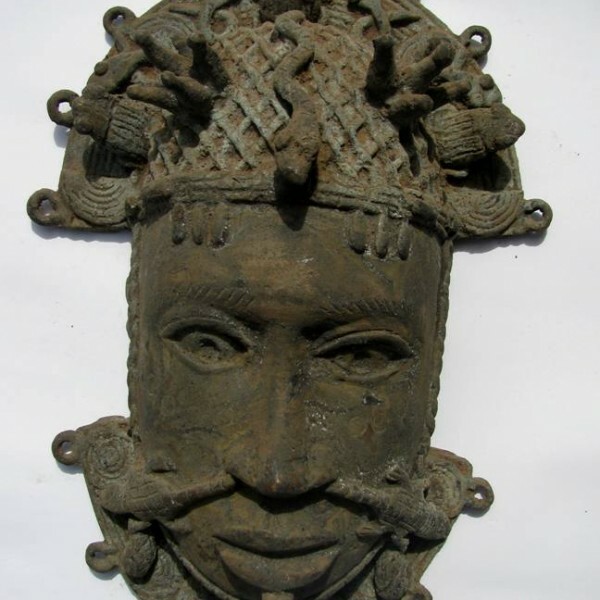 The Queen Idia mask was the chosen emblem for the Festival of African Arts and Culture (FESTAC) held in 1977 in Lagos, Nigeria. The History of this mask dates back to more than 500 years ago. 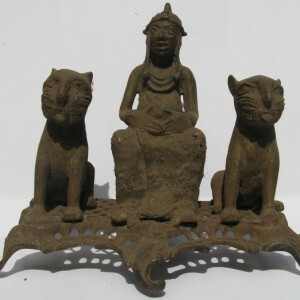 Queen Idia was the mother of Oba Esigie, one of the strongest kings of the Great Benin Kingdom. She helped him in conquering his enemies and saving the Kingdom from collapse. In appreciation, he created the Title of Iyoba (Queen Mother) and commissioned the Mask. 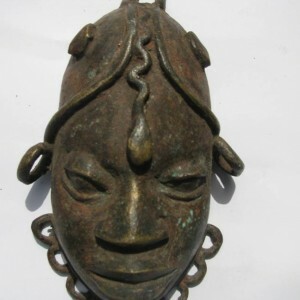 The Queen Idia mask is the symbol of the strength and power of mothers. The original mask is made of Ivory and is located in the Metropolitan museum of Art in USA. 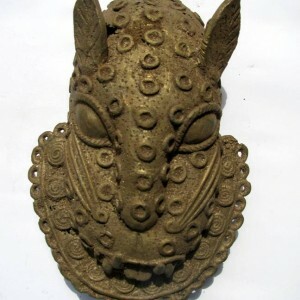 The crocodiles, frogs and mudfish around the mask show the supernatural power of the Queen and her relationship with the dieties of the water. The snake is also there, showing knowledge of medicines and herbs. 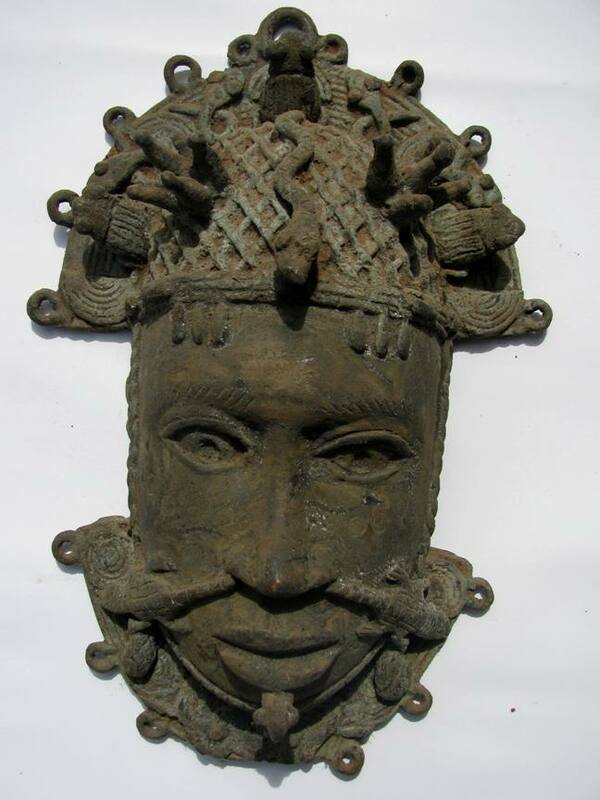 This Mask is made by Chief Ihama, one of the best casters in Benin City. P.S: The coronation of the new King of Benin Kingdom takes place this October. 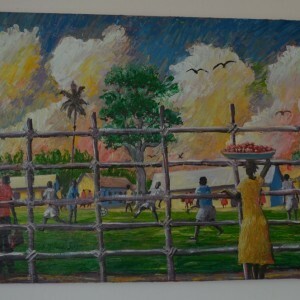 Join in the celebration of hundreds of years of cultural richness and artistic excellence. 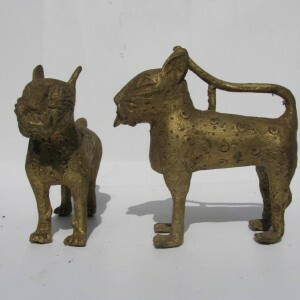 Purchase this sculpture and help sustain the art of Bronze casting from the Ancient Kingdom of Benin City.